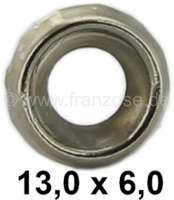 sample image Nut in the door, for the securement of the door loop at the door, for Citroen 2CV. (All models with high door linings and without plastic cover above). sample image Sheet metal holder for door strap. 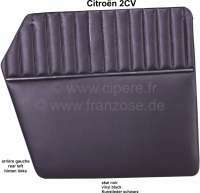 Suitable for Citroen 2CV with high door linings. The sheet metal holder must be painted. sample image Door strap inside. Color grey. Suitable for Citroen 2CV with high door linings. The door strap is about 260mm long and with the sheet metals 18130 locked. sample image Door strap inside. Color black. Suitable for Citroen 2CV with high door linings. The door strap is about 260mm long and with the sheet metals 18130 locked. sample image AMI6, door lining wood in the rear, without purchase. Suitable for Citroen AMI6. Per piece, on the left + on the right fitting. sample image AMI6, door lining wood in the front, without purchase. Suitable for Citroen AMI6. Per piece, on the left + on the right fitting. sample image AMI8, door lining wood in the rear, without purchase. Suitable for Citroen AMI8. Per piece, on the left + on the right fitting. sample image AMI8, door lining wood in the front, without purchase. Suitable for Citroen AMI8. Per piece, on the left + on the right fitting. sample image Window crank (per piece). Suitable for Citroen Dyane + Acadiane. Original Citroen, no reproduction. sample image Plastic lining on the left above, for the rear door. Color: black. Suitable for Citroen 2CV6. sample image Plastic lining on the left above, for the front door. Color: black. Suitable for Citroen 2CV6. sample image Plastic lining on the right above, for the rear door. Color: black. Suitable for Citroen 2CV6. sample image Plastic lining on the right above, for the front door. Color: black. Suitable for Citroen 2CV6. sample image Plastic lining doors above, mounting kit (for all 4 upper linings). Suitable for Citroen 2CV. sample image Rosette nickel plated. For 4mm screw. Outside diameter: 11mm. Height: 2,4mm. These rosettes were used for dashboard, door linings. 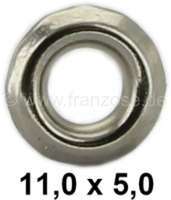 Suitable for Citroen 2CV, DS, HY and in many Peugeot + Renault. sample image Rosette nickel plated. For 4mm screw. Outside diameter: 12,7mm. Height: 2,5mm. These rosettes were used for dashboard, door linings. 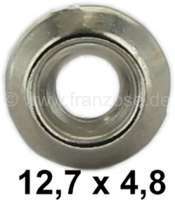 Suitable for Citroen 2CV, DS, HY and in many Peugeot + Renault. sample image Rosette nickel plated. For 5mm screw. Outside diameter: 13mm. Height: 3,0mm. These rosettes were used for dashboard, door linings. Suitable for Citroen 2CV, DS, HY and in many Peugeot + Renault. sample image Fixing clip for door lining. Simple reproduction. 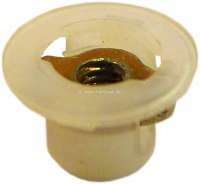 Suitable for Citroen 2CV, DS, Peugeot, Renault. Per piece. For 2CV, you need 5 clips for 1 door lining in front (low version) and 4 for rear. sample image Fixing clip for door lining. Very good reproduction. 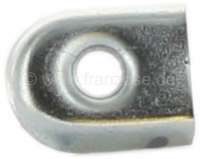 Suitable for Citroen 2CV, DS, Peugeot, Renault. Per piece. For 2CV, you need 5 clips for 1 door lining in front (low version) and 4 for rear. sample image Door lining at the rear left, high version. Suitable for Citroen 2CV to about year of construction end seventies. Material: Vinyl black, with chrome trim.